The 9th Annual Northeast Delta Dental New Hampshire International is history! I had a great time presenting trophies to the top international up-and-coming young women golfers this past Sunday afternoon, July 22, at the conclusion of another successful tournament. With that, the Symetra Tour is back out on the road again. I want to thank all of the volunteers who helped make this event successful and a big thank you to Road to the LPGA for bringing this top notch golf event to Concord, NH. Special thanks to all of the Tournament sponsors, without whom this event would not happen, and to Mark Coen and Ken Robinson for their continued support and leadership. Many happy memories were made during the week-long program during which I had the opportunity to treat a dozen of the Symetra LPGA players and their coaches to an evening Fisher Cats game versus the Portland Sea Dogs. The ladies participated in numerous opportunities to mingle with attendees at the ballpark last Thursday night. 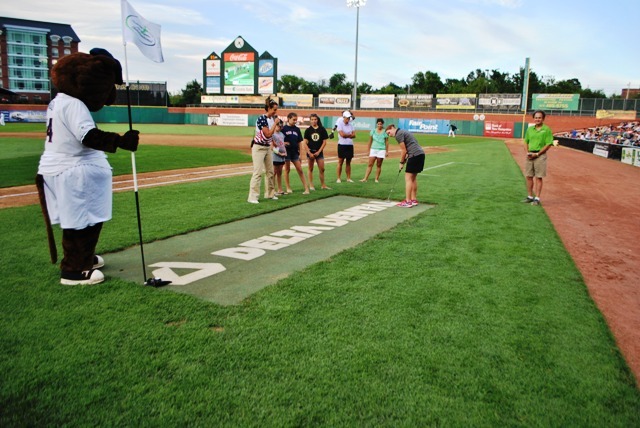 Several were brave enough to try their hands at throwing out the first pitch, while others took some time to demonstrate to the crowd their golfing skills on our makeshift putting green at the Northeast Delta Dental Stadium. 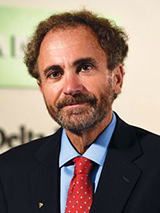 This entry was posted in Golf, Northeast Delta Dental and tagged LPGA Futures Golf, Northeast Delta Dental, Symetra Tour. Bookmark the permalink.